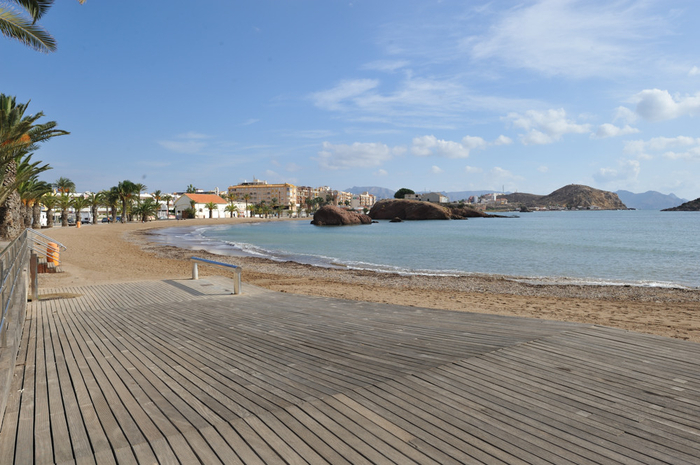 Playa de la Ermita is a small urban sandy Mediterranean beach close to the centre of Puerto de Mazarrón, one of a line of 33 along the 35-kilometre coastline of Mazarrón between the municipalities of Cartagena and Lorca. This may only be a small beach when compared to its grander neighbours, but has real charm, the combination of palm trees, decked walkways and little church giving it a unique character. 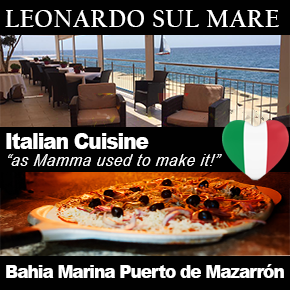 It's classified as semi-urban, is next to the private yacht marina and is only 100 metres long, with an average width of 14 metres. Even in the peak weeks of summer it's a low occupancy beach, but has hire facilities for pedalos and sea canoes. 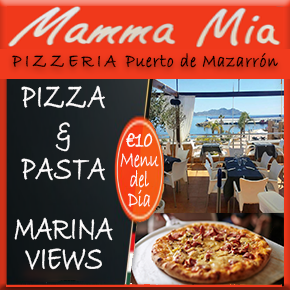 There´s also a dive school, and in peak summer months a boat hire service operates. The beach has footwashes, bicycle parking facilities, and toilets during peak summer weeks, but no lifeguard services. There´s parking in the residential streets nearby and disabled parking places as well, with access to the beach very straightforward as the beach runs alongside the pavement at the same level. There are plenty of restaurants and bars both in the nearby streets and inside the Marina itself, where drinks, tapas, snacks and main meals are available. The beach also curves to join the Cabezo de la Cebada, which has decked walk ways up to the viewpoints and out across the surrounding bays. Mass is held at the small Ermita de la Asunción church at 18.00 on Saturdays.